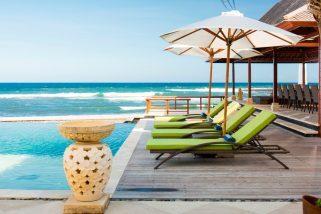 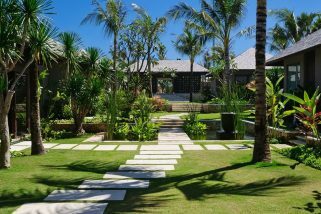 Popular with families and holiday makers who love resorts, Nusa Dua seems far removed from Bali as its huge beachside hotels could be anywhere in the world. 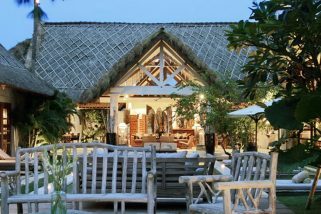 An offshore Reef protects the long strand of beaches here which is beautiful to walk along. 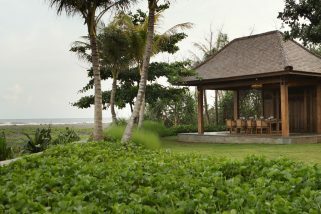 Waves are small, like ripples, which makes Nusa Dua a perfect place for children. 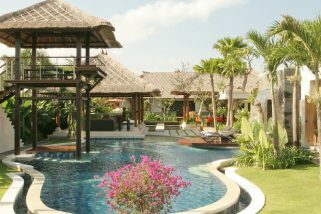 In Benoa, just north of Nusa Dua, tourists can enjoy all kind of water sports. 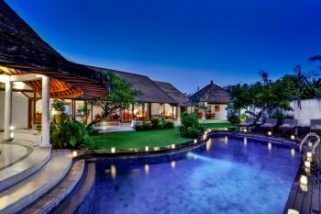 Traditional thatched rooved pavilions, lush rice terraces, an 18-metre swimming pool and traditional Balianese architecture define the luxurious Villa Surya Damai. 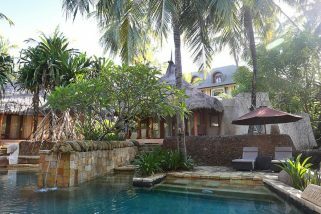 With your own private pool as the key ingredient to a wonderful family holiday in Bali, Villa Sebelah is a 3 bedroom Umalas villa holiday rental & has lush tropical gardens with traditional Indonesian pavilions; one a traditional Gladak structure and the second a traditional Joglo building. 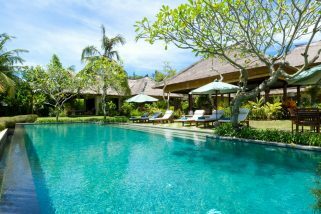 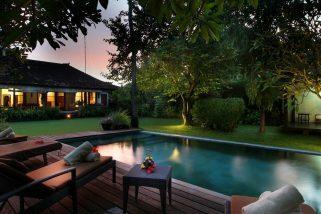 Villa Bayu Gita comprises two stunning villas in the tranquil coastal village of Ketewel on Bali’s south-east coast. 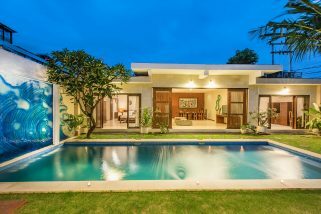 Villa Kalimaya III is part of a group of exclusive villas situated down a quiet lane and close to the best beaches and hippest bars within the ultra-chic shopping district of Seminyak on Bali’s southern coast. 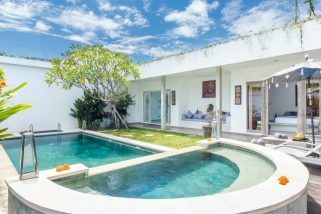 This funky contemporary 4 bedroom villa, located in central Seminyak, is characterised by playful vibes which effortlessly blend with the striking, traditionally thatched dome of the main building. 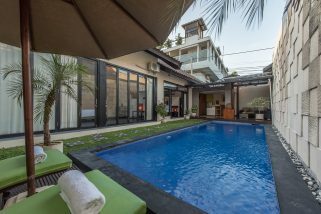 Villa Karol is a 3 bedroom Seminyak holiday villa rental offering excellent value, located on the fringes of Seminyak, guests will be close to some of Seminyak’s best restaurants such as Sardine and Metis and just 5mins to the beach on scooter. 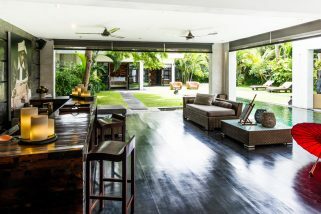 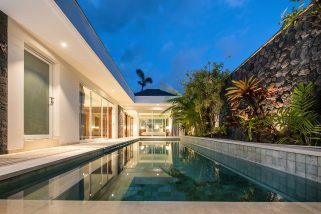 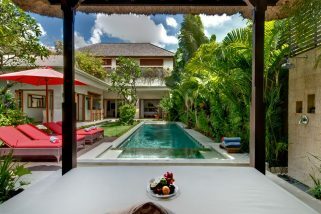 This opulent 3 bedroom villa offers a tranquil oasis amidst the bustling streets of cosmopolitan Seminyak and is the perfect space to revel in the tropical ambience of the island. 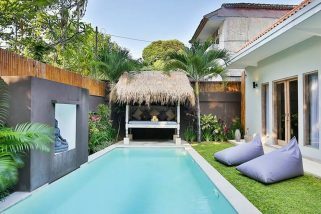 This luxurious 3 bedroom villa in Seminyak, Villa Massilia II, is set in an exotic compound creating the perfect sanctuary from the stresses and strains of the rat race. 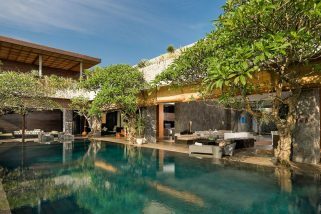 Designed by world famous architect Guy Morgan, Asta Villa is located in the Oberoi district just minutes away from some of Bali’s most fashionable restaurants and shops. 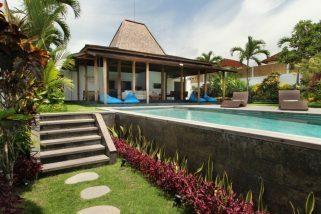 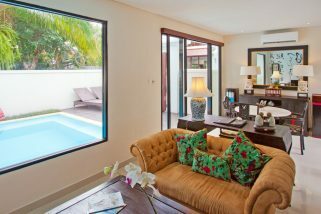 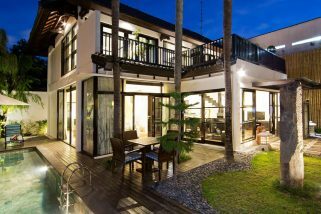 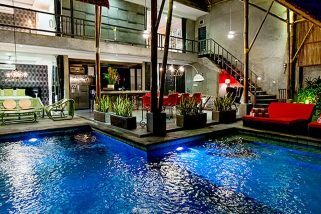 Villa Damai Kecil is perfectly located in heart of Seminyak, Bali's trendiest area.